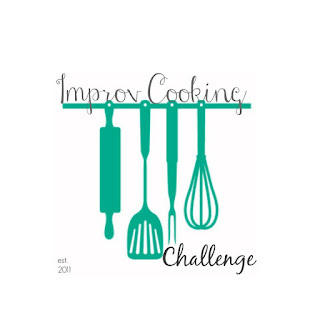 The theme for this month’s Improv Cooking Challenge is red, white and blue. Seeing as those are the only guidelines for the blogging event, I thought it would be really easy to find a recipe that met the requirements. And instead I spent weeks looking through recipes trying to find something worthy of sharing with you. White chocolate coated and sprinkle dipped strawberries didn’t seem like enough. Food dyed colored cakes stacked on top of each other seemed too easy. I wanted something different. And then I finally found this recipe buried in a pile of old magazine pages I had ripped out with the intent to make sometime. “Sometime” had finally arrived. If you haven’t visited New Orleans or had beignets, you really should change that as soon as possible. We visited New Orleans last year before we left for a cruise and I fell in love with the city. The people, the food, the atmosphere…everything was just perfect to me. While New Orleans has a huge variety of incredible foods luckily enough to call their own (muffalettas and po’ boys anyone?) the beignet is pretty high up on my list of the best foods there. 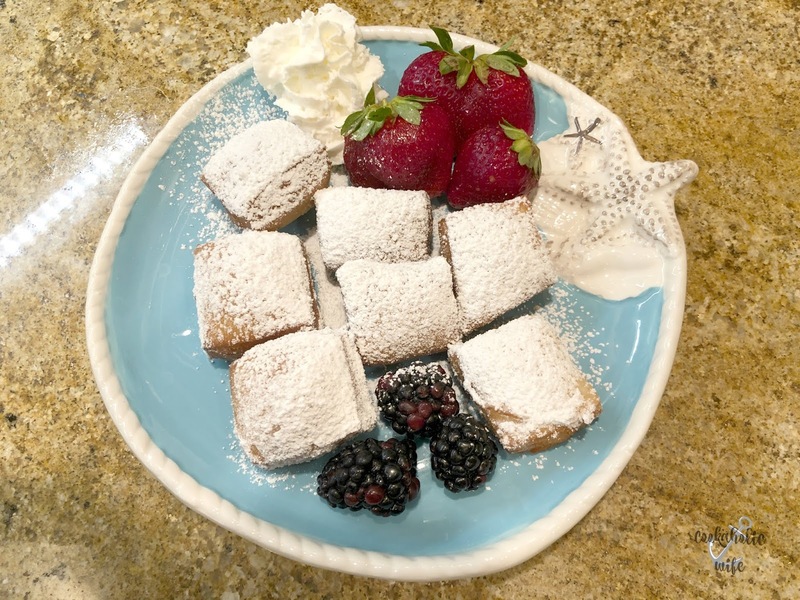 A beignet is pretty similar to a donut as its yeasty fried dough covered in powdered sugar. Light and fluffy, sweet and a bit of a crunch…it’s really one totally delicious dessert. 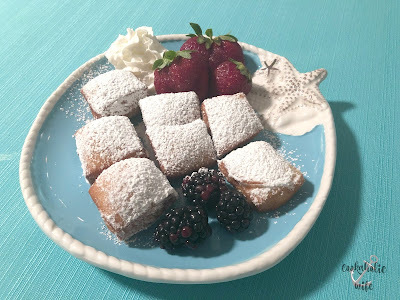 A few years ago I had a Mardi Gras themed party where I made beignets (the first time I ever had them) and simply couldn’t wait to get to New Orleans to try them and see how well I had done. A standard in New Orleans, dough is cut into bite sized pieces, fried and covered in powdered sugar. For a patriotic twist, these are served with fresh berries creating a red, white and blue color scheme. 1. Add the 2 tablespoons of water to a small bowl. Sprinkle the yeast on top and set aside. 2. In the bowl of a stand mixer, beat the butter, sugar, salt and cinnamon until crumbly. Add in the remaining ½ cup of water and the evaporated milk. 3. Pour in the yeast mixture and add the egg, mixing until combined. Switch to a dough hook and slowly add in the flour, ½ cup at a time, until a slightly sticky dough forms that pulls away from the bowl. 4. Turn the dough out onto a floured surface and knead for 1-2 minutes, just until the dough fully comes together. 5. Grease a bowl with butter or oil and place the dough inside. Toss once to coat and then cover and refrigerate for at least 4 hours but up to 3 days. 6. Remove the dough from the refrigerator and allow it to come up to room temperature, at least one hour. 7. Roll out the dough on a lightly floured surface into a 16×12 inch rectangle. Using a sharp knife or a pizza cutter, cut the dough into 2 inch squares. 8. Heat oil in a deep skillet or pan until it reaches 375 degrees. Carefully drop pieces of the dough into the oil, cooking for 1-2 minutes on each side or until nicely golden. Only add 8-12 pieces of dough at a time (depending on the size of your pan) so they don’t stick together. 9. Transfer to a paper towel lined plate to absorb excess grease and dust with powdered sugar. Repeat with remaining dough until all is fried. 10. Arrange beignets on a platter, accompanied with the strawberries and blackberries and whipped cream on the side. Serve immediately. The dough needs to rise for 4 hours before it can be portioned and fried. Plan accordingly! Dough may be frozen after being cut into squares. Freeze on wax paper and allow to come to room temperature before frying. Can be frozen for 3 months. 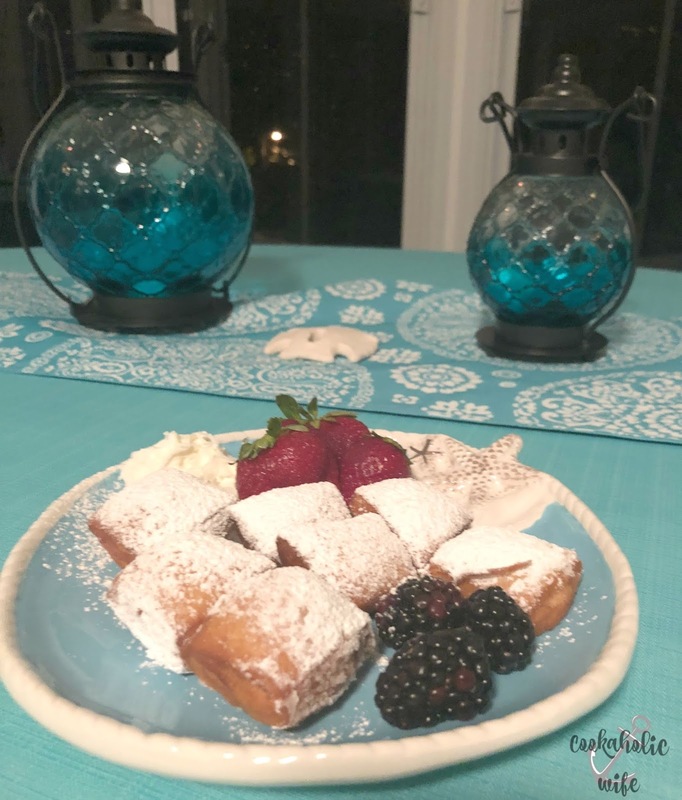 My friend and I visited my aunt and uncle in Bethany Beach last weekend and ended up bringing the dough to their house so I could make the beignets there. They absolutely loved them and they were the perfect light dessert to enjoy after a dinner of pork with peach salsa and corn on the cob. Your beignets look wonderful Nichole. Each year we blog this theme gets harder because we have made so many other red, white and blue creations. Keeps the mind sharp.